A massive granite fireplace creates a focal point for the living room. Two families blended their lives and their belongings in this home. Designer Susan Acton helped the new husband and wife forge a sense of togetherness by mixing favorite pieces (his chandelier and her Elizabeth Eakins rug) with new furniture and accessories.  Architect Ruth Bennett designed a twist on the classic New England four-building farm, reinforcing the agrarian motif with a standing seam roof. From the back, the house is broken into functional segments joined by glass connectors. A stone terrace holds an outdoor cooking area. A bench with a view invites quiet contemplation. A custom-designed dining table disassembles to become a desk or card table. Built-in bookcases give the room a dual purpose as a library. The kitchen features built-ins and an island crafted by Kochman Reidt + Haigh. An assemblage of ottomans from the husbandâs former home were recovered to create a large coffee table for the family room. Quietude and comfort mix in the husband’s office. The master bedroom is a passionate blend of the coupleâs wedding colors of aubergine and hydrangea. A screened porch sits at the back of the house. Love has never literally built a house, but its influence on the design of this Acton, Massachusetts, home can be measured in every square foot. 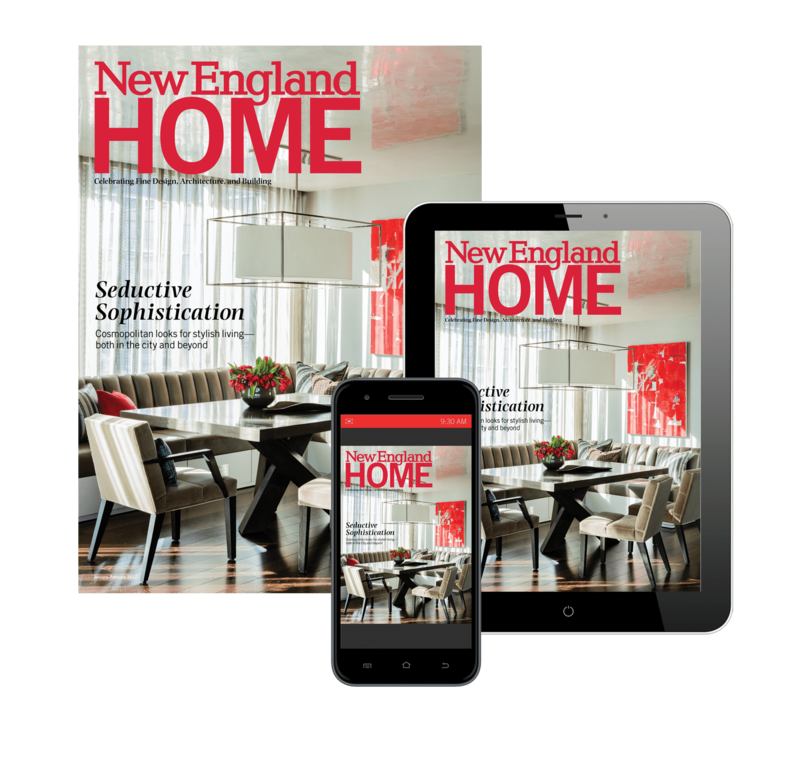 Architect Ruth Bennett and interior designer Susan Acton were presented with the story of two families, just one member shy of a Brady Bunch scenario, wanting a new house where they could blend their two tribes into one. The property was chosen—a bucolic spot on ten acres not far from the town’s historic downtown area—and all that was left was to plan, build, landscape and furnish the home before the kids started school nine months later. “Everything happened so fast,” says Bennett, principal of RBA Architecture. Weekly meetings were the norm, and all the important professionals—architect, designer, builder, cabinetmaker and landscape architect—kept in close touch to make sure the process went as smoothly as it did quickly. The new home, which replaces a 1980s house that was torn down, comes together in four separate structures connected by a pair of glassed-in breezeways. One of those structures—a red-painted barn—serves as the garage. From the garage, the family entryway leads through a mudroom to meet up with a center structure that holds the kitchen and family room on the first level and the kids’ bedrooms and a common space for hanging out or doing artwork on the second level. The third structure’s more formal entry opens to the living and dining/library areas. The master suite and an office area occupy the fourth building. From the outside, with its red barn and high-pitched gable rooflines, the home resembles a modern interpretation of the traditional “big house, ­little house, back house, barn” style of northern New England. “They loved the idea of farm structures of New Hampshire,” says Bennett. Adjacent to the entry hall, which has an open view to the backyard, are the living room and library/dining room. Wrapped on three sides by windows, the living room feels like an open pavilion with landscape views around the room. A floor-to-ceiling granite fireplace dominates one wall. Throughout the house Acton repurposed numerous pieces from the couple’s past lives, giving them a sense of continuity as they transitioned from one house to the next. In the living room, for example, Acton introduced a custom-designed, linen-wrapped coffee table but also made use of a chandelier from the husband’s previous home and an Elizabeth Eakins rug from the wife’s last master bedroom. In trying to make the most of the space they had, the couple became concerned about the dining room, a twenty-four-by-sixteen-foot space that would perhaps not get as much use as they would want it to. “They felt strongly about the dining room not being a room that would be used just once a year,” says Bennett. “Plus, there were other dining areas in the house on the porch and in the kitchen,” adds Acton. The solution was to make the room multifunctional. Bookcases along one wall let the room serve as a library, and Acton designed a dining table that can be assembled to seat sixteen people for a dinner party or broken apart to become a desk and a smaller, round table the other 90 percent of the time. Acton also added a pair of Donghia wingback chairs, giving the room a distinct seating area. “So now it’s a library that can transform into a dining room when needed,” says the designer. In the center structure, where the kitchen and family room make up the heart of the home, Bennett collaborated with cabinetmakers Kochman, Reidt + Haigh on the design, a mix of painted, glass-front and open shelving. Black granite covers most of countertops, with the ­exception of the raised shelf in the center island and the long floor-to-ceiling buffet, which are clad in zinc. A cherry peninsula extends from the island for in-kitchen seating. The family room with its large leather sectional sofa abuts the kitchen and is a hangout area for the whole family. The ottoman in the center is actually a collection of storage cubes that were scattered about the husband’s previous house. Acton re-covered them and gathered them together to form one large ottoman. Much like the other spaces in the house, the family room has a neutral feel with its white walls and earthy tones. That’s why the master bedroom comes as such a surprise at first glance. Acton had chosen a geometric patterned rug of green and deep purple from Colony Rug. When she showed it to her clients, they pulled out their recent wedding photos. The wife had worn an aubergine gown and held a bouquet of green hydrangeas; the color combination was exactly the same. Acton continued the theme by choosing an asparagus green for the walls and covering the sofa and headboard in the same bold purple hue as the dress and rug, reinforcing the memory of the couple’s special day.